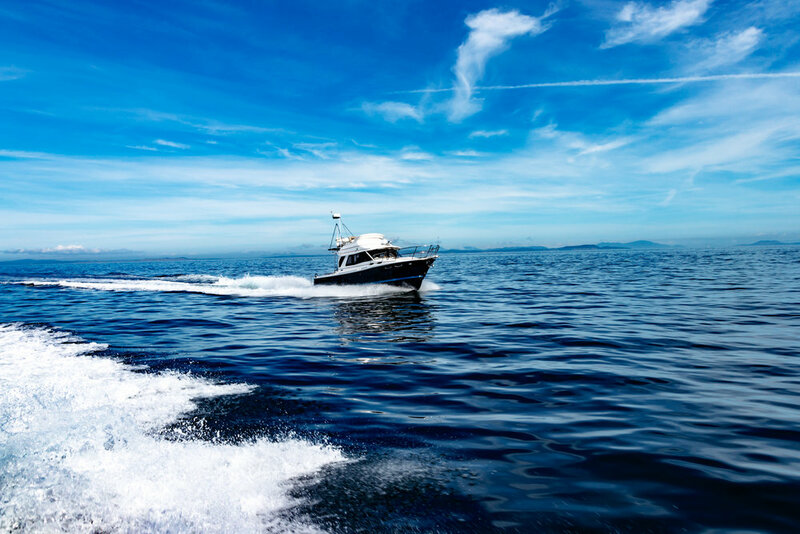 With our Annual Cutwater Cruise starting on July 19th, excitement is growing for another amazing exploration of the beautiful Pacific Northwest Waters and Gulf Islands. The marinas have all been locked in and the itinerary is set! Listed below are our cruise destinations for your information. We are now opening up our official registration for this event. Limited spots are available, which will fill up quickly, so register now! By registering, you will have a locked-in reservation at Roche Harbor as well as a place holder at our destinations in the Gulf Islands. Our Annual cruise is once again set to kickoff at Beautiful Roche Harbor on San Juan Island. We have 30 slips reserved for the weekend and a number of fun events planned. We have booked an extra night this year at Roche for those of you who would like to arrive on Thursday the 19th. Roche is a perfect location to start our cruise with plenty of outdoor activities, fishing, crabbing, restaurants, and a popular farmer's market on Saturday morning in Friday Harbor. For more info please visit their website. Located on Thetis Island, Telegraph Harbour Marina will be our final destination on the cruise. This is a great marina with very nice amenities for us all to enjoy. Telegraph is also a great location for those of you who are planning to continue cruising north to the Sunshine Coast and Desolation Sound. We look forward to cruising with you very soon! Please be advised that our Cutwater Cruise is now full, and you will be placed on a waitlist. In the case of cancellation, spots will be given on a first-come, first-served basis. Thank you!